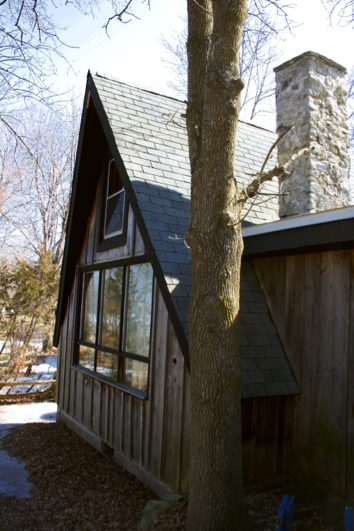 On Monday, January 20th, the Al Purdy A-Frame Association is hosting an evening at the Monarch Tavern to raise money for the upgrades and rehabilitation of Al Purdy’s hand-made A-Frame house in Ameliasburgh, Prince Edward County. The Association needs money to finish the necessary repairs to render the house habitable as it transitions into being the home of a writers-in-residence program that is slated to begin this year. You may be wondering, though, why all this fuss about a rustic old shack, built 50 years ago from cheap second-hand lumber? He was a broken man. His entire life he had wanted to be a poet. Or perhaps he had always known he was a poet. For the first 40 years of his life, though, it was a struggle. He first left Prince Edward County, the land of his parents, his grandparents, and his great-grandparents, when he was 17, riding the rails across the country to Vancouver. After a spell there, he came back to Ontario. 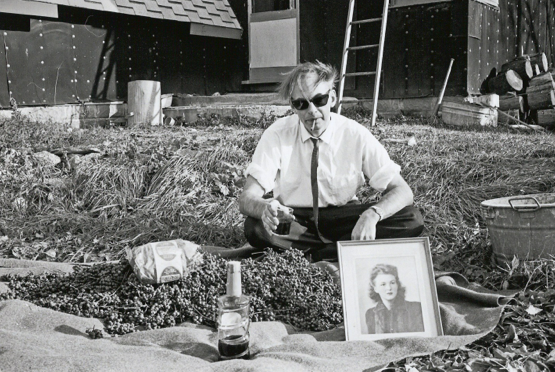 Then he headed back to Vancouver, then back across the country to Montreal, before finally returning to the ‘County’, a broken man, in 1957. With the few dollars he had he bought a swampy piece of willowed land by a small lake; with axe and saw he cleared a spot amongst the trees, looking out over the water towards the nearby town; and with salvaged lumber he built himself a house. He ‘fenced-in the sky’, as he would later write in “An Arrogance”, and they settled in for the first winter. I mean: the sheer grandeur of it! The amazing thing is, by his own concession, and by the testimony of his most astute readers, burrowed in this frame, between the trees and looking out over the lake, a terrible poet became a great poet. Suddenly his voice was much more confident, his style nuanced. In 1962 he published Poems for All the Annettes, one of his greatest collections, and in 1965 he won the Governor General’s Award for his collection The Cariboo Horses. It’s clear that something changed when he built the A-Frame. 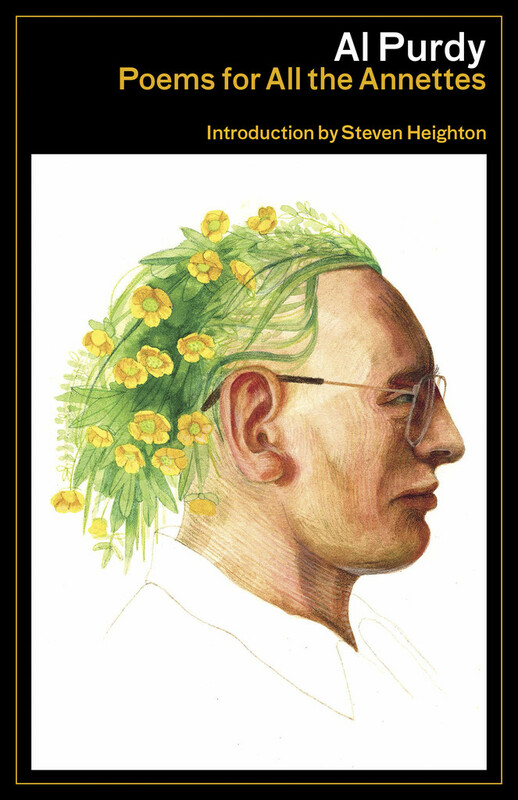 To intentionally overstate the case, Al Purdy has been called Canada’s ‘unofficial poet laureate’, Canada’s ‘first poet’, Canada’s ‘last poet’, Canada’s ‘most Canadian poet’, and even, by the great poet, teacher and critic Dennis Lee, “without a doubt the greatest poet English Canada ever produced.” He won the Governor General’s award for poetry 2 times and was made a member of both the Order of Ontario and the Order of Canada. No matter how you slice it, he definitely knew a good line from a clunker. And I feel he would approve of that description. But despite travelling all over the world and eventually moving to the west coast, he would always return to the ramshackle A-Frame he built with his own two hands. The A-Frame was where he wrote some of his best poetry, it was the setting of many of the poems, you might even say it was a recurring character in his poems, and also a recurring symbol. The list of poems that reference the house is has not been counted, but it must number in the hundreds. The connection that Al Purdy felt between the house and his self was clearly strong. In building the house, something changed in him. In clearing the land and constructing his own frame for dwelling, he enacted his own form of settling. Canada is a country of immigrants, a country that is continuously being ‘settled’. While admittedly, from the perspective of Canadian culture, the A-Frame is most important in the effect it had on Purdy’s writing, it is also important as a more general story about living and growth and what it means to be a Canadian. The story of the construction of the A-Frame is really a story about settling – a story that bears relevance for first and seventh generation Canadians alike. Just one of the reasons it rightly deserves to be a national monument, which hopefully it soon will be. It was not so long ago, however, that the fate of this house was in jeopardy. Since Al’s passing in 2000, his wife, Eurithe, would visit the A-Frame every summer from her house on the west coast, and take care of the necessary upkeep. In 2009, however, she found that it was no longer feasible for her to hold onto the property. Quickly, the Al Purdy A-Frame Association was formed by an old friend of the couple, Jean Baird, and Al’s publisher Howard White. By 2012, the Association was able to raise enough money, between grants and private donations, to purchase the house and begin repair work, with the goal of turning the old house into a writers’ retreat. As Al wrote in his late poem “Her Gates” Both East and West, the A-Frame is a “house that is never finished”, and as project manager for the upgrades and rehabilitation of the house, I am proud to be part of this ongoing project. Poetics aside, it turns out a low-lying parcel of land next to a lake is not a very good spot to build a house, and we have had to put a great deal of effort into trying to keep the water out. The limestone chimney that Al wrote about building in “Place of Fire”, which was on a precarious angle and cracked down the middle, has been replaced. It’s quite possible that although a great poet, Al might not have been the best carpenter. In installing new windows in the south face of the A-Frame we discovered extensive water damage from moisture getting in around the old windows, and almost the entire wall has had to be rebuilt. But while the work has been difficult and full of surprises, it has always been satisfying knowing that this work will make it possible for a whole new generation of writers to experience life in the A-Frame. Esteemed poets Karen Solie, Stephen Heighton, Rob Budde, and David Helwig have all donated their time designing a Writer in Residence Program. The first two years of writers have already been selected, and their names will be announced at the fundraiser on Monday, including the very first writer, who will be moving in in July. Karen will be making the announcement as well as reading some of her own poetry, and the evening will also feature readings by poets Jim Smith, Paul Vermeersch, and Stuart Ross. Duncan Patterson is a Director of the Al Purdy A-Frame Association, the project manager of the A-Frame upgrades and rehabilitation, and an Associate Designer at MJ | architecture (www.mjarch.ca).